Do you want to save time and money on acrylic sign? do you want to install bulk acrylic letter job quicker and easier? Do you want DIY install acrylic sign like a pro? 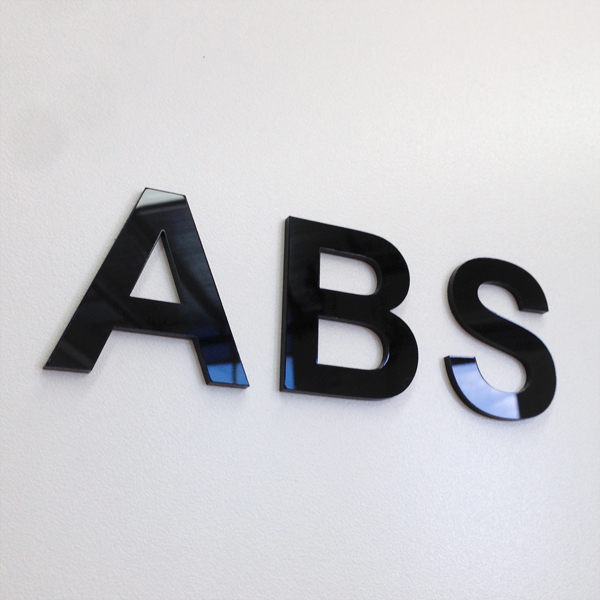 Our Peel & Stick Acrylic Letters is the best and smart solution for DIY installation. The letters have adhesive on the back, just peel the back liner off and stick the letter in smart-stencil, that’s it! No tool required, no skill. The letters can be stick to any smooth surfaces, such as plaster wall, window or door glass, tile, timber, MDF board, colorbond, aluminum composite panel wall etc. The letters suit for interior and exterior use. Traditional the installer use paper template, liquid nail or glue, this method needs several hours to do a small job, especially for hundreds of letters to install, the job needs one or two days to be done. Our solution makes installation a breeze.